The Wyoming Police Department is currently accepting applications for Police Officer. The following are the requirements for the position: 21 years of age upon the completion of the academy, U.S. Citizen, High School Diploma or equivalent, and possession of a valid driver’s license. The Wyoming Police Department offers a competitive starting salary, medical insurance, paid vacation, retirement through the State Municipal Plan and a take home vehicle. Certified applicants will be given a conditional hire until they meet all the requirements set by the Council on Police Training and a modified field training program. Non-certified applicants who meet the requirements will need to pass the following to be considered for the position: written test, physical agility test, background investigation, psychological examination, medical examination, and drug screening. Non-certified applicants who are given a conditional hire will be required to complete the basic training program at the Delaware State Police Academy and 12-week field training program successfully. 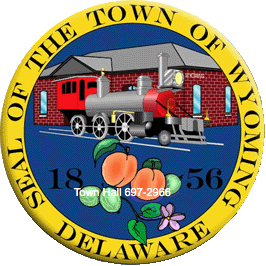 If interested, submit a resume and completed application to Wyoming Police Department, 1 N. Railroad Avenue, Wyoming, DE 19934, via email to townofwyoming@comcast.net or fax to (302) 697-7961. The Wyoming Police Department is an Equal Opportunity Employer.